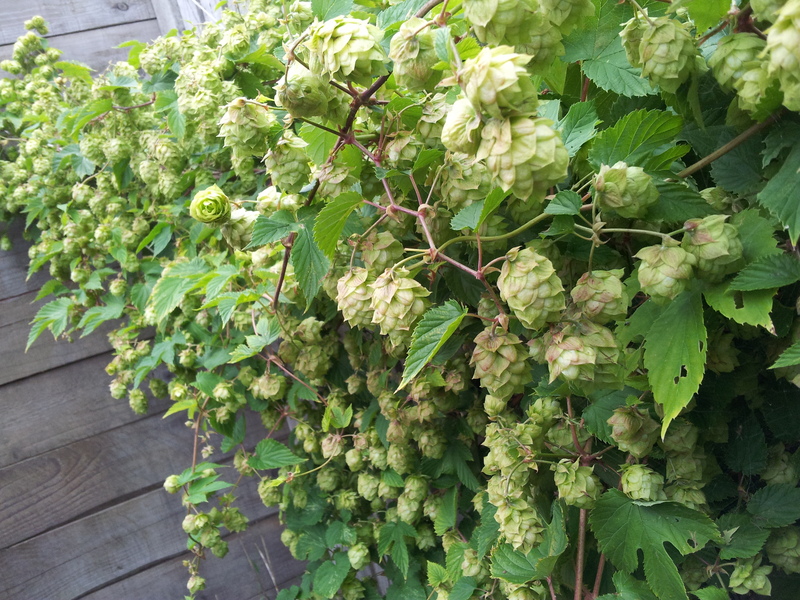 The weather has been kind to us this summer, and gladly it also gave me a lovely crop of hops in my back garden. They are First Gold, a dwarf variety which is suitable for growing in my garden as it doesn’t get too tall. I train it to grow almost horizontally anyway, but it fits nicely into the sunniest corner of the garden. I originally got some hop rhizomes from Rossa and after I planted them, the dog dug up two, but luckily one remained underground and has now flourished into a fine specimen of a plant. 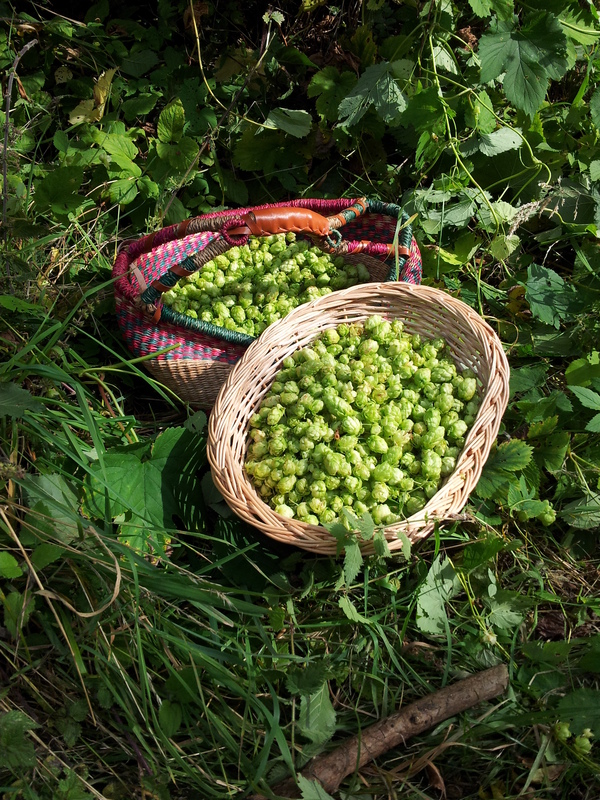 For the past few years, I’ve had a harvest of wild hops from a hedgerow out the road, and invariably I would pick them and dry them out. 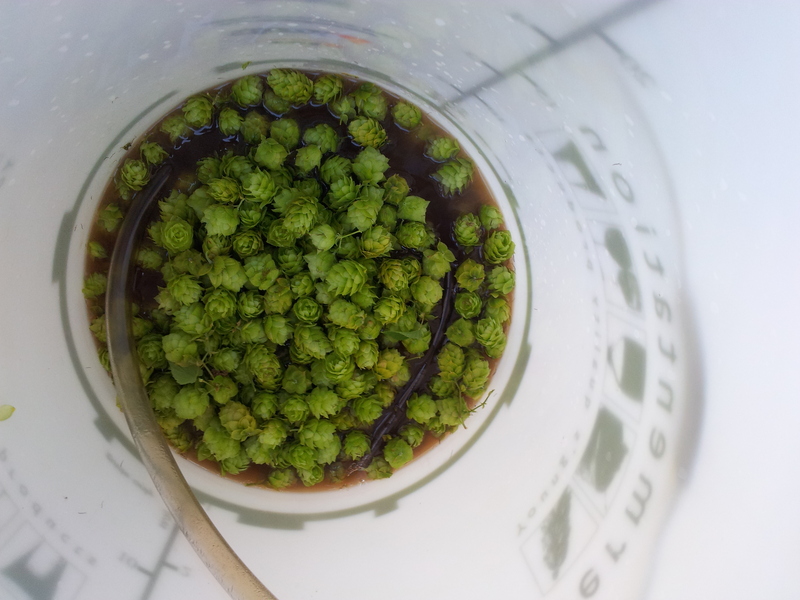 This year though, with hops growing only yards from the brew pot, it was time to give a ‘wet hop’ beer a go. I decided to do a traditional(ish) IPA, and use only the First Gold hops from the garden. Hopping started off with adding hops directly from the bine to the first runnings of the mash – first wort hops as fresh as they could possibly be! Did I mention there were other ingredients in this beer other than hops? The malt bill was simple, but added the non-traditional angle – 99% Vienna and 1% Carfa II. This created a lovely amber colour, and the Nottingham yeast fermented at 17C gave a nice bright, clear beer. 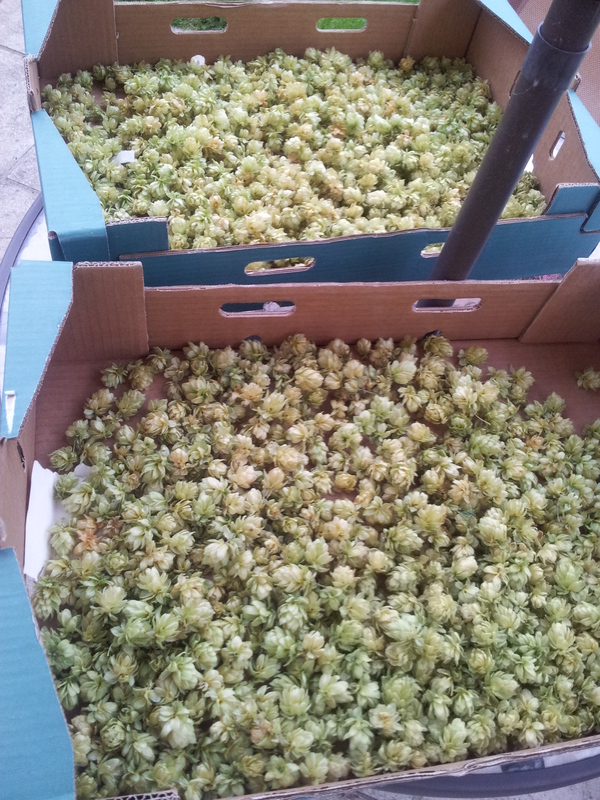 And so on to the next brew, this time using the (dried) wild hop harvest. Something dark and hoppy perhaps…..